How to Give New Life to Old BORING Stickers! Amy here... with an idea to take stickers from b-o-r-i-n-g to B-E-A-U-T-I-F-U-L! Needing another embellishment to balance the flower I'd made for the sympathy card, I found a sticker in my stash that said “Forever”. I grabbed my bottle of the BEST GLUE EVER and outlined the sticker with a thin, “grunge-y” line of glue because I’m going to put transfer foil around the edge of the sticker! I also put a tiny dot of glue on the “e”... I'm going to hide the rip! The Best Glue Ever has a fine tip perfect for applying fine detail. 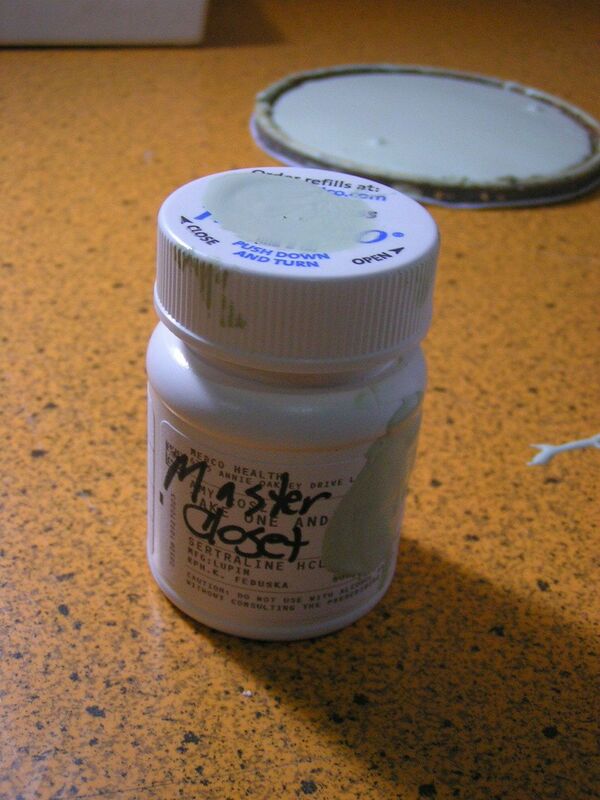 After the glue dried to clear, it became very sticky. 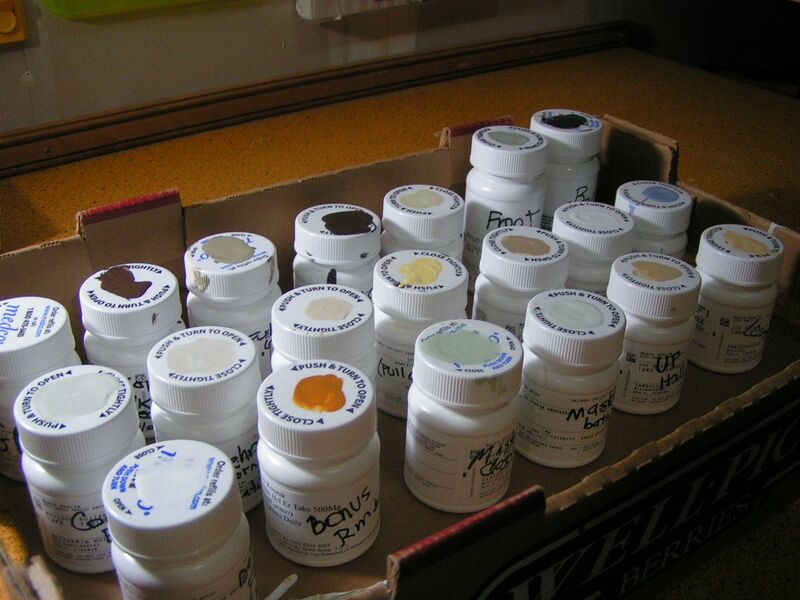 When the glue is clear, it means it's "dry" and ready for the transfer foil. 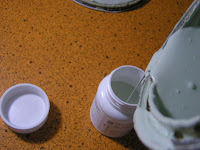 Simply take the foil -- colored side up-- and press it onto the sticky glue. The foil transfers... hence the name "transfer" foil! You can see clear plastic window under my thumb where the foil was transfered on a previous project. As long as there is color on the sheet, I can keep using the piece. To pick up a teeny-tiny itsy-bitsy little orange gem, I used Embellie Gellie so I could precisely place the gem onto the waiting dot of glue. The glue is so much stickier that the gem easily transfers off the Embellie Gellie exactly where I want it! so I applied the Perfect Crafting Pouch on the sticker's back to de-activate the sticker adhesive. Then I added two little pieces of foam tape so the embellishment would “POP” off the paper. JAZZ UP any sticker-- First add “Glitz 'n Bling”. Then make them 3-d by de-activating the sticky adhesive before placing foam tape (or gluing a piece of chipboard) to the back. Won’t you try to give new life to your"old" stickers? P.S. A very cool thing about ScraPerfect Products is how versatile they are and how long they last. Each one can be used to do so many completely different things that it makes them worth their weight in gold--way worth their price! 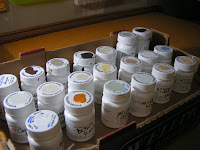 How to Save and Organize House Paints using Medicine Bottles! 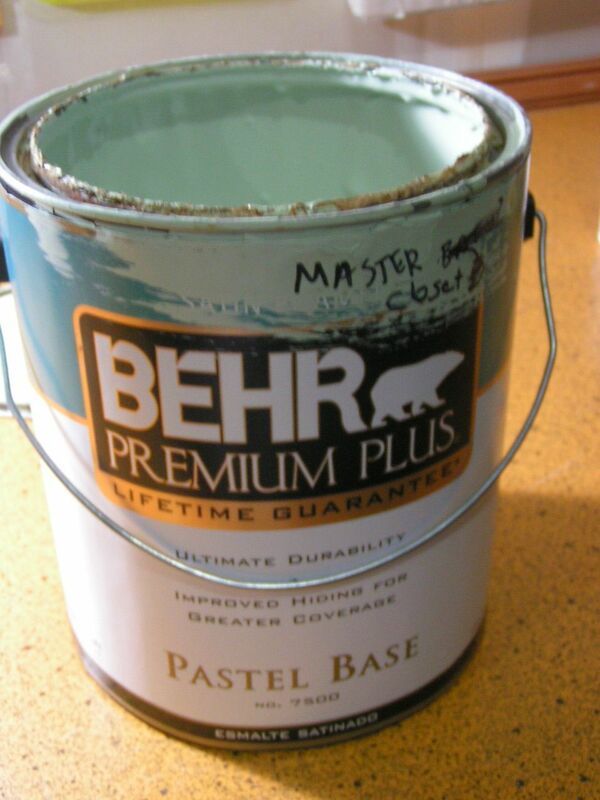 After several years, we’ve almost finished painting our house. 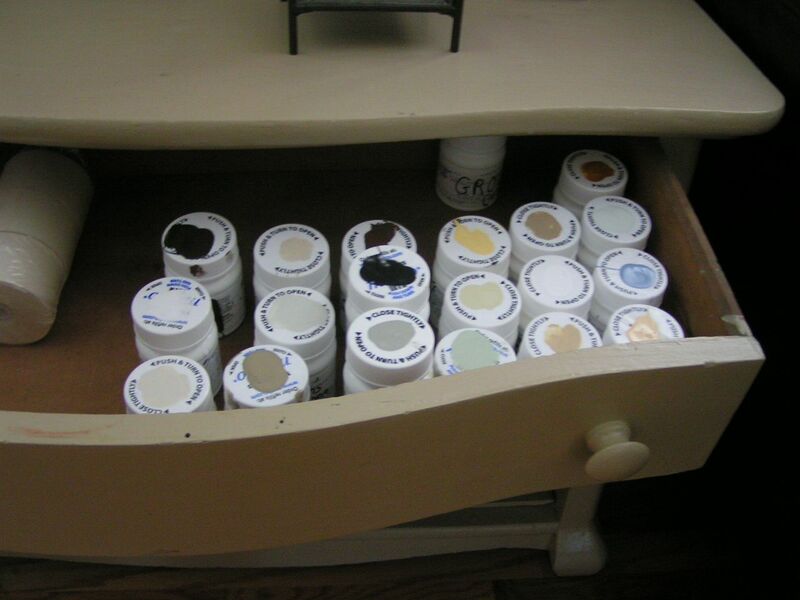 It would be so much easier if I just chose white, but, nooooo, I've got many, many different colors! Already many of the first walls that were done are scuffed & dinged and need touching up. Going to the garage to dig through the paint cans is enough of a hassle that touch-ups don’t get done. 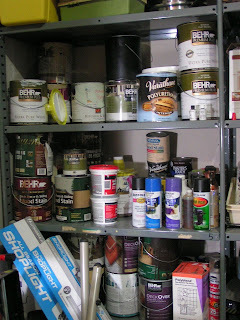 Here’s an idea to make touch ups easier...and for those who live in an apartment without much space to store the leftover gallons, you'll like this idea, too! 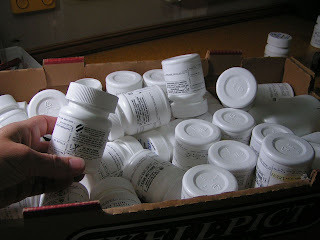 I’ve been saving the plastic bottles in which our mail order pharmacy sends medications not knowing what I'd be using them for but knowing they were too nice to simply recycle. These have child proof caps which the company confirmed are airtight when locked-- even though they seem to wiggle around the bottle. 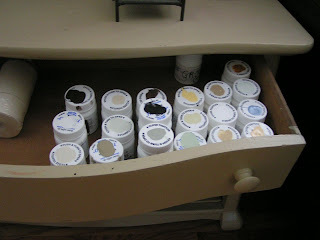 Fill the bottles with paint, apply color to the lid and the side of the bottle, and label with the the room in which the paint was used or the name of the color. If you're like me, by storing them inside the house, you’ll be much more likely to grab a bottle and do those needed touch-ups!